Address : 628 N. 4th st.
sent to the donor. If you know of such person please send his contact information to me. Thanks in advance and hope that someone may know a descendant. Standard reply to Mr Pool. Email forwarded to MCHC members and others interested in MC history. of your ancestors sacrifice for the residents of Milam County. 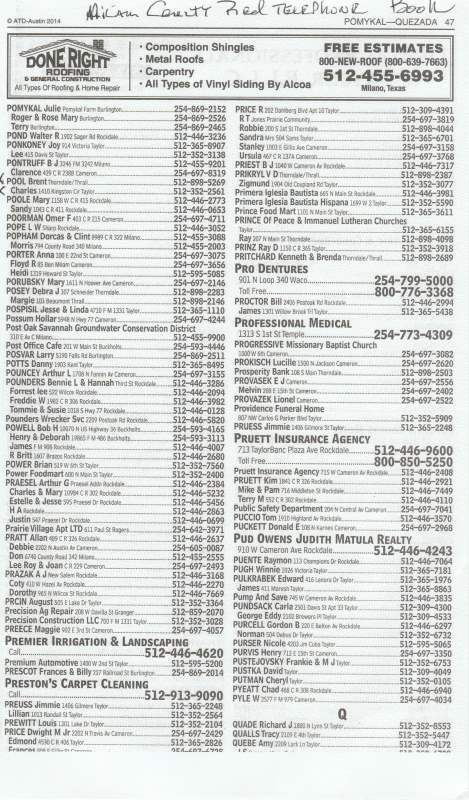 I have been having difficulty finding very many individuals with Pool surnames in Milam County. Since Gabriel Leander (Lee) Pool was unmarried and died at age 27, no direct descendants followed. two live outside of Milam County. descendants remained in Milam County. a very active community member who is affectionately referred to as the Buckholts historian. as soon as I learn anything, either way. Gabriel Leander (Lee) Pool in one respect. 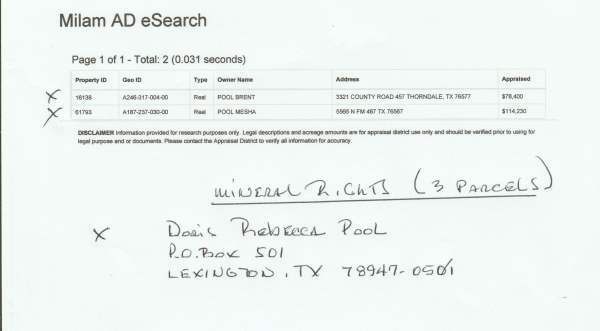 Mr. Doug Williams, of Buckholts, has been struggling for weeks trying to locate your Pool ancestors for you. post, should you care to thank him for all of his efforts. it not for the dedication of Mr. Jerry Caywood, our website administrator, and community members such as Mr.
Williams who so graciously share their knowledge of Milam County and its history. by the Milam County Preservation Society, pg. 296.
a resolution to your inquiry?. Pool's. Isaac lived very close to my 4th grandfather but they were not related. if I caused anyone much trouble with my inquiry. I will be more than happy to share my information on both Isaac and Gabriel with Mr. Williams or anyone. Thank you very much for your help and I would like to correspond with them if possible. Thanks again. being able to tell a tale such as this of an ancestor. Charles King - Milam County Museum. The entire set is available for sale at the Museum. tel. (254) 697-8963.
inquiries. This particular article was in Volume #3. The volumes have no page numbers.